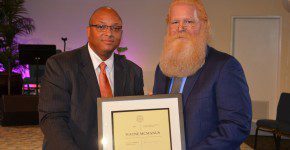 The Dr. Elsa M. Cummings Award for Teaching Excellence recognizes outstanding faculty members who embody The International College of the Cayman Islands’ commitment to excellence. Faculty members who have taught for at least three quarters are eligible for the award. The award honors teachers who inspire, stimulate, challenge, and motivate their students; teachers who develop in students the ability to think critically and creatively about the world; teachers who instill in their students a lifelong love of learning. The award is named for the President Emerita, Trustee, and College Founder Dr. Elsa Cummings whose association with ICCI spans close to 50 years. Dr. Cummings served in a variety of faculty and administrative posts. She taught Spanish, served as Chief Examiner for the GED program, director of admissions, dean, executive vice president, and president. Nominations for the 2015 awards will be begin June 1, 2015 and the results will be announced during the 45th Founders’ Day Celebration in September 2015. 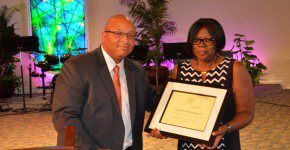 The augural award recipients were honored Founders’ Day September 28, 2014 at a ceremony at the Cayman Islands Baptist Church. Yvonne Lawe-Gonzales (Speech) and Wayne McManus (Accounting) each received a signed certificate by the President Emerita and a cash award. To view photos of Founders’ Day 2014, click here!